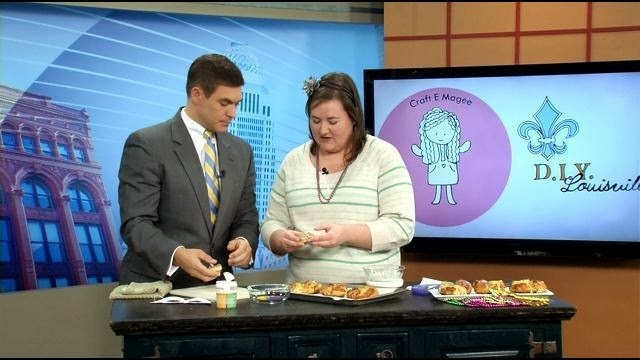 I enjoyed making my mini King Cake recipe on WDRB in the Morning last week, and even got a little help from Sterling Riggs during the television segment! Mardi Gras is one week away, on Tuesday, March 4, so you have plenty of time to get into the Holiday spirit by making these simple sweet treats at home. I appear in regular craft segments for WDRB in the Morning, usually every other Wednesday. Locals can see me again on Wednesday, March 5 or visit my Facebook page for the link. To see more videos, check out my YouTube channel. Thanks for watching! 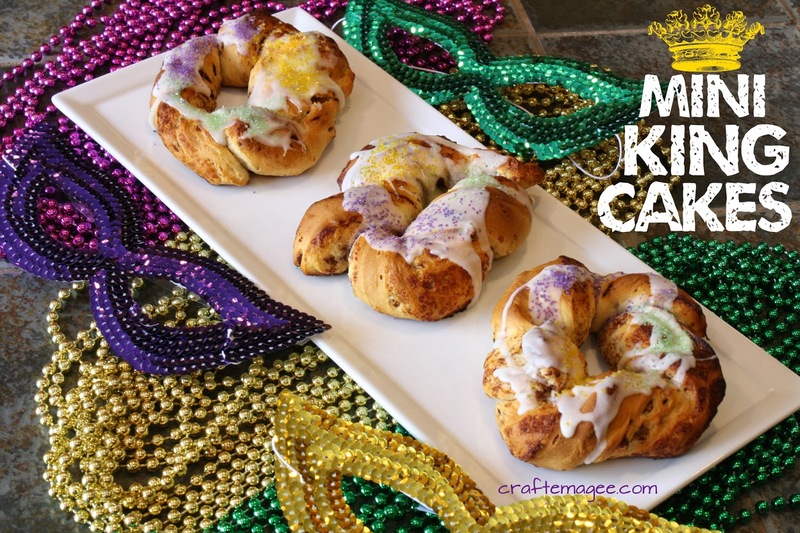 Mini King Cakes for Mardi Gras! It's quite possible that I am developing an unhealthy obsession for making miniature desserts. First it was the Mini Pies for Derby, then it was the Mini Pumpkin Pies for Thanksgiving. Now, it's Mini King Cakes (Prince Cakes?) for Mardi Gras! King Cakes are a traditional food in New Orleans, Louisiana during the weeks leading up to Mardi Gras. The tradition goes that a plastic baby or other charm is hidden inside once the cake is cooked, and then the cake is decorated with icing and purple, green, and gold sugar (colors representing justice, faith, and power). The person who gets the piece with the baby inside must bake the King Cake for the next gathering, and so it goes until Mardi Gras or Fat Tuesday. In Louisville, we have a kinship with Louisiana, given that we are both named for French Monarchs (Louisiana for Louis XIV and Louisville, Kentucky for Louis XVI) and the Fleur de lis is a major symbol for both the cities of New Orleans and Louisville. Louisville also has the highest number of shotgun-style homes next to New Orleans. 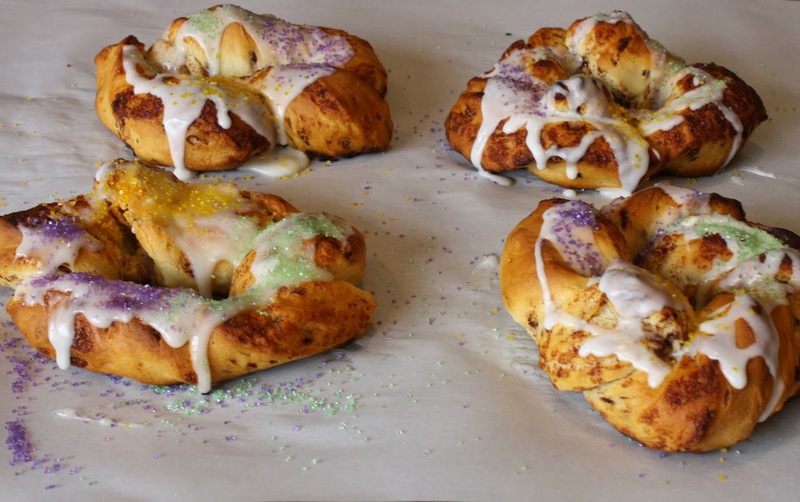 So to celebrate Mardi Gras, I thought it would be fun to make these easy mini King Cakes, using cinnamon rolls as a shortcut to the traditional sweet bread dough. You only need 3 simple supplies for these tasty cakes: a can of cinnamon rolls (with icing), colored sugar in gold or yellow, green, and purple, and a plastic baby! After opening your can of cinnamon rolls (8 rolls will make 4 mini King cakes), preheat your oven as directed. My package called for 400 degrees Fahrenheit. 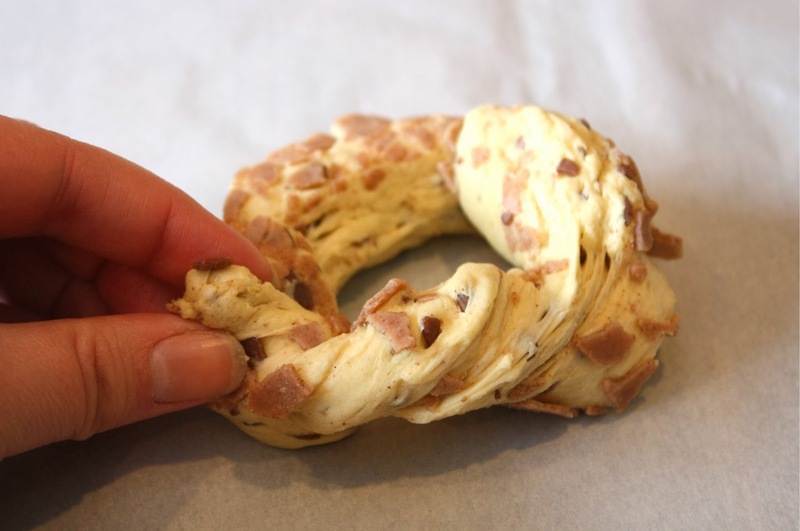 Take one cinnamon roll and split it at the side to create a crescent shape. 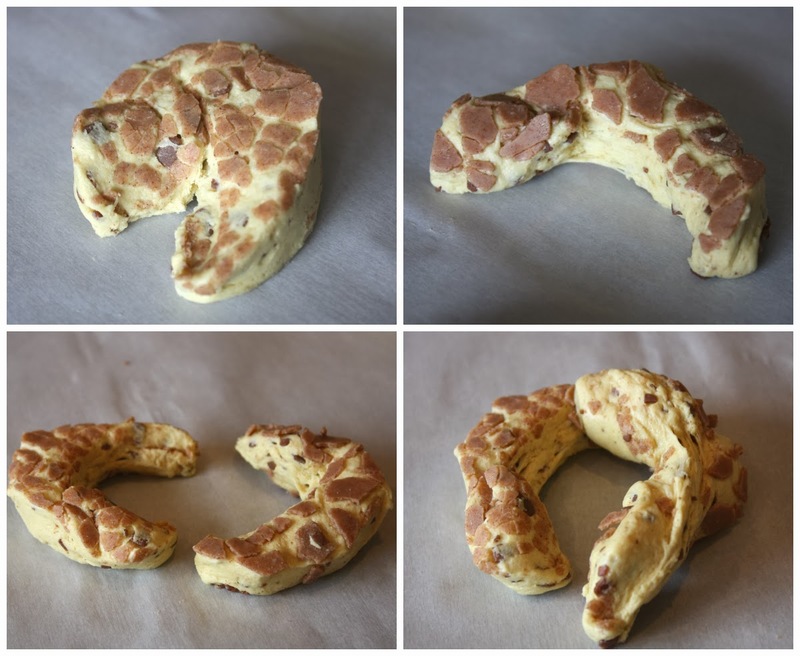 Do this with one more cinnamon roll. Next, twist the ends of these two crescent shapes together and then twist into a circle. Press the other two ends of dough together to complete the circle. This makes one mini King Cake. Bake your King Cakes as directed on the cinnamon roll packaging. In my case, I baked four mini King Cakes for 13 minutes at 400 degrees Fahrenheit. The finished mini King Cakes are so pretty! Pick one of the mini King Cakes to hide the plastic baby or charm inside once they have been cooked. Cooking the plastic charm inside the oven is not recommended! Now you are ready to decorate. The great thing about using cinnamon rolls for these mini King Cakes is that you already have the icing too! To make the icing go on smoothly, just heat it in a glass bowl in the microwave for about 10 seconds, and drizzle on the cake with a spoon. You must sprinkle the sugar on the icing before it dries, so I recommend icing and sugaring each mini cake one at a time. Remember to sprinkle each cake with gold, green, and purple sugar: the traditional colors of Mardi Gras! 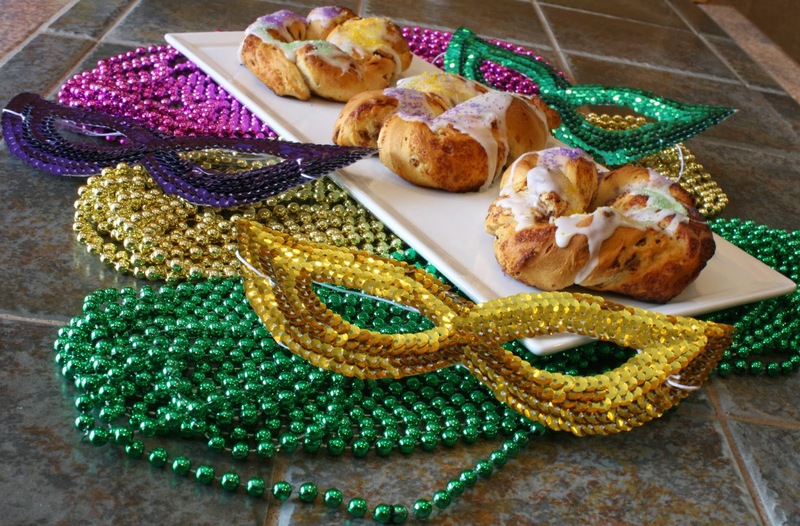 There's really no wrong way to decorate or make these mini King Cakes. The more homemade they look, the better, in my opinion! Don't they just look yummy?! Trust me, they are! These are the perfect treat for Fat Tuesday, right before the traditional fasting season of Lent. 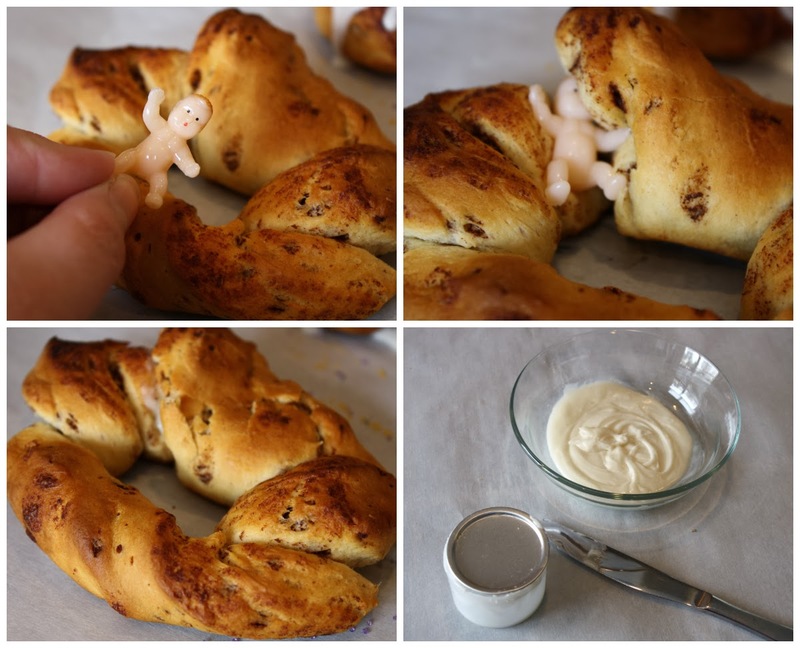 I hope that you enjoy making these mini King Cakes. 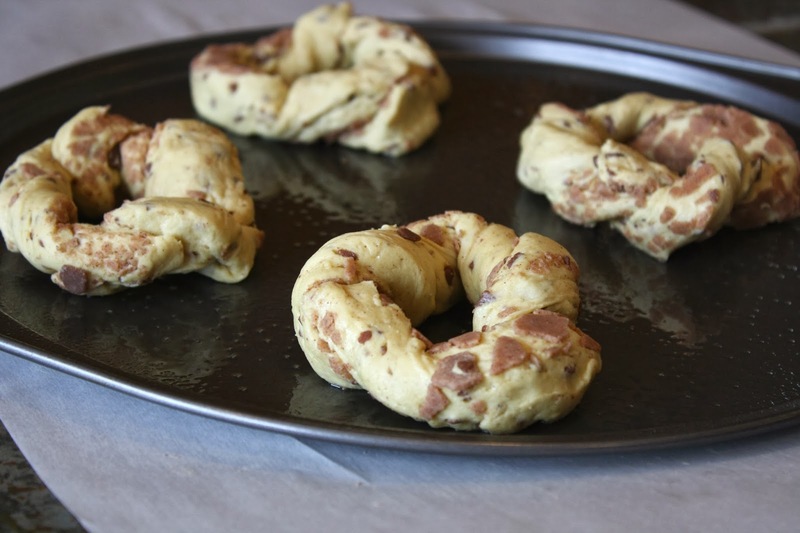 They are so easy to make using the cinnamon roll dough and icing as shortcuts. This year Mardi Gras is on Tuesday, March 4, so you have plenty of time to make these cakes and get into the holiday spirit. Bon appetit and as they say during Mardi Gras, "Laissez les bons temps rouler" or Let the good times roll! I'm always looking for clever birthday gift ideas, especially for the men in my life. For whatever reason, I often find gift giving for the boys to be much harder. So because my brother was turning 30 this year, and I didn't know what to get him for his birthday, I decided to fill a gift box with other things that were celebrating their own 30th birthdays. All of the items in the gift box were introduced the same year he was born! 9. Alex Trebek as host of Jeopardy! It was fun finding trinkets and making a printout to represent all of the "30th" things I found online. This could easily be tweaked to any milestone year. It's easy to find things in an internet search and it's fun putting everything together for the birthday present! My brother looks pleased in this picture, so I hope that means that he had a very Happy 30th Birthday! What sort of gifts do you like to give as birthday presents? 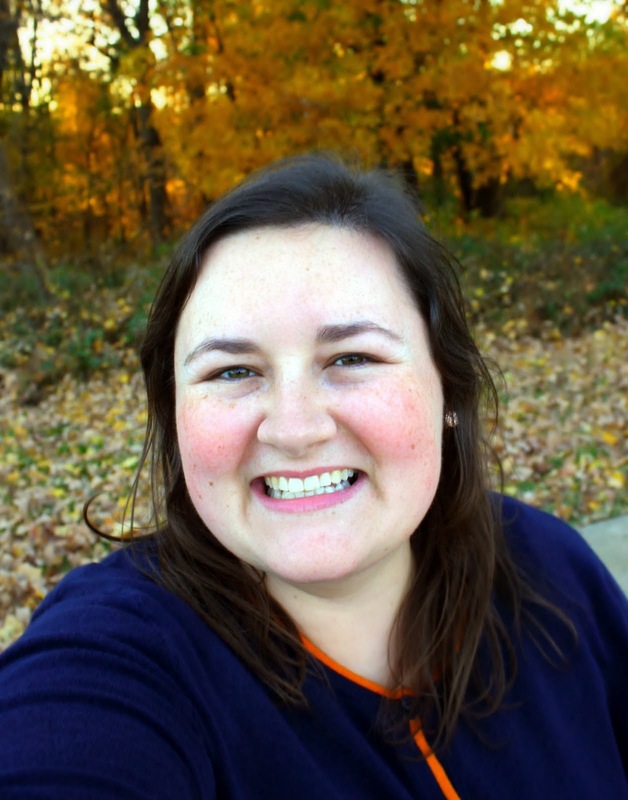 I'd love to hear your ideas--just leave a comment below. I don't think it's any secret that I like to plan parties. Parties must appeal to my creative side. I just love to pick a theme and plan the party around it. That's why I was happy about planning a Valentine's Day themed baby shower for my cousin "T" who is having a baby girl. All it takes is one element for me to spark ideas for an entire theme. In this case, it was the heart tablecloth above from Target in pink, red, and yellow. 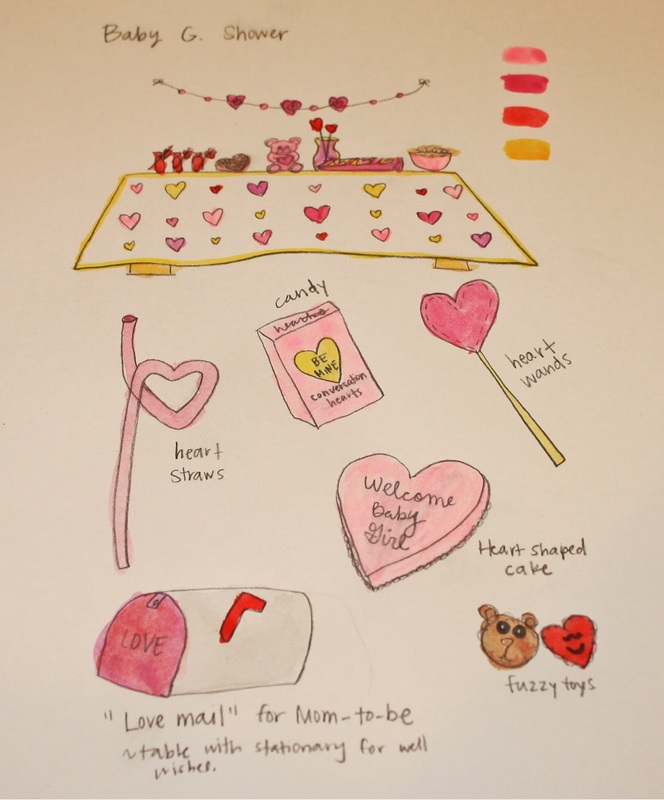 Since the baby shower is in February, I decided to sketch out some plans for a Valentine party theme. Similar to the guest book messages from this baby shower, I want to have a mailbox for love letters, or notes with well wishes for mom and baby. 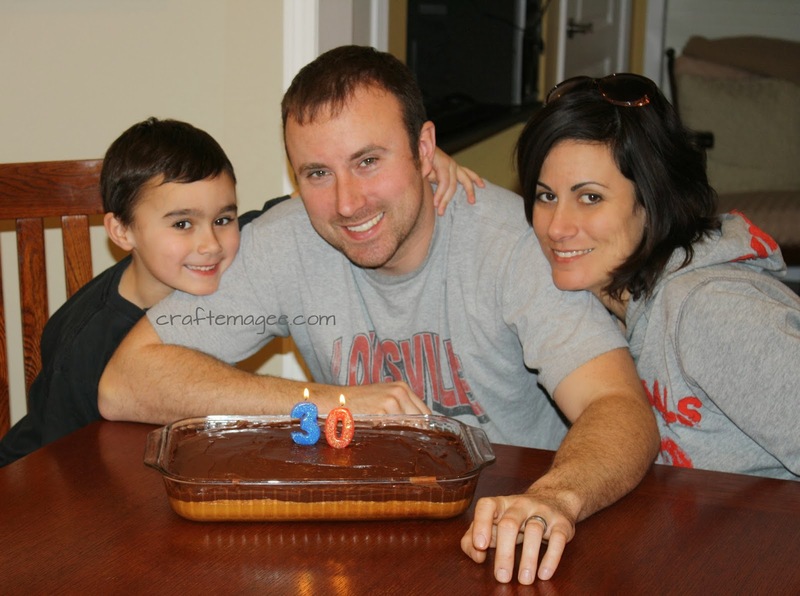 This is a cute way to entertain guests at the party and make mom feel special. The mailbox also goes great with the Valentine theme. 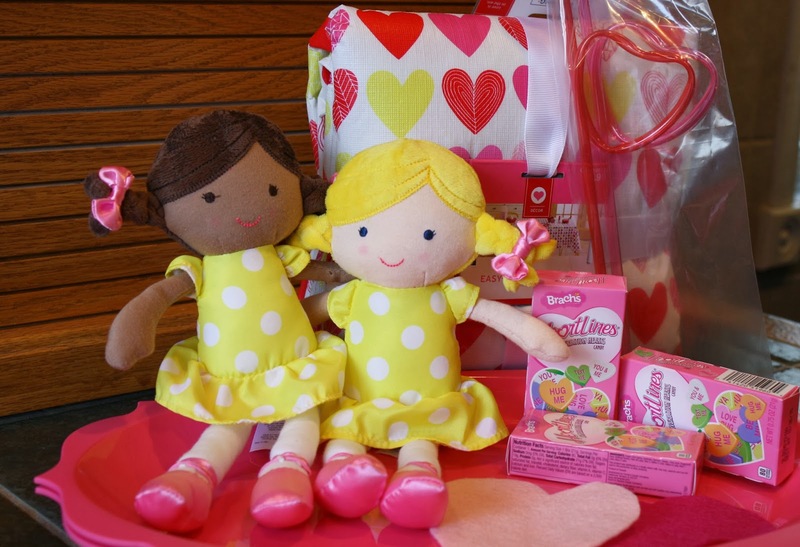 I found some other cute elements on my trip to Target including the packs of heart straws, pink serving trays, and some adorable pink and yellow attired dollies. Pulled all together, these items compliment the color scheme I was going for. I mean, really! How cute are these dolls?!! The bonus with using baby toys as a centerpiece is that they double as gifts for the little one on the way! I have been known to have milk and straws on the snack table at my parties, but this time I wanted to go with something fruity. Instead of juice, I decided on flavored water. It doesn't hurt that the water is pink! 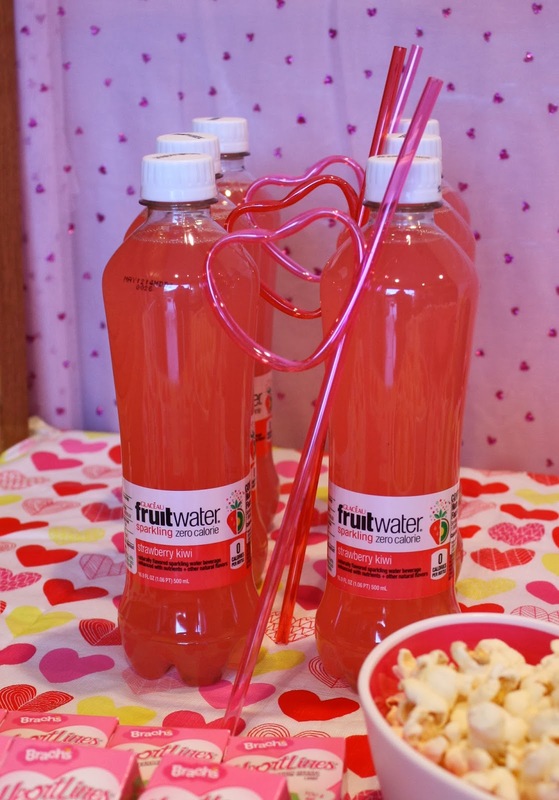 The heart straws look adorable with the water bottles! The snack table also includes Conversation heart candies, white cheddar popcorn, Valentine's Day M&Ms, and cupcakes with strawberry whipped topping (courtesy of the grocery store)! It really doesn't take much to make a great tablescape for a Valentine's Day baby shower! Just remember when planning any party to pick a theme and a color scheme, and this will guide your choices. Also, don't be afraid to ask for help. I may do the fun stuff for these parties, but lots of my family members chip in with the "real food" and usually supply the location. 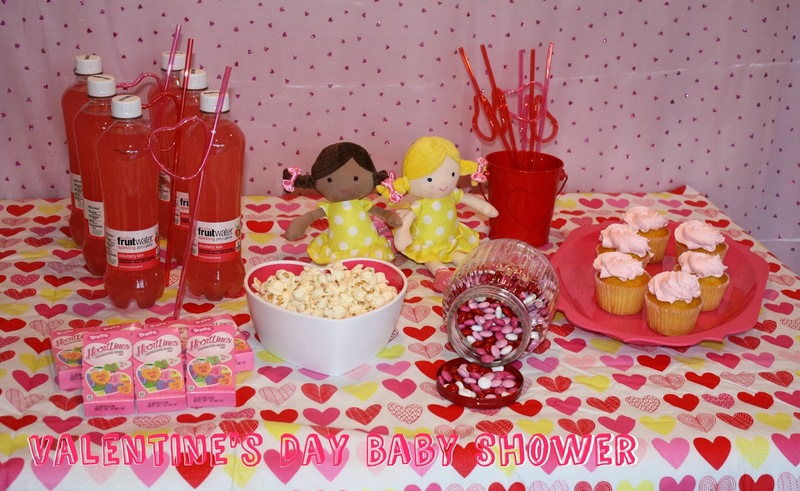 Many of these baby shower ideas would work for a Valentine's Day party too! Be sure to pin this post to reference for next year. Happy Valentine's Day! Valentine's Day is tomorrow! Don't worry, you still have time for this easy craft project. 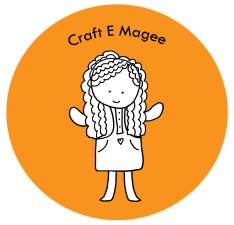 With scrapbook paper, stickers, and some Mod Podge Dimensional Magic glue, you're all set to make some fun cards for Heart Day. Be sure to give Valentines to all the loved ones in your life--a handmade card with a special note can make their day! For full instructions, see this post. Have a wonderful Valentine's Day! February is the kind of month that flies by, but don't get caught without a Valentine's Day card for your sweeties. Hint: It's this Friday, February 14! These valentines are easy to make and fun to give. All you need are Valentine Holiday themed papers or stickers, blank cards, and some Mod Podge brand Dimensional Magic. The Dimensional Magic product goes on like paint or glue, and dries clear to make a 3-D seal. I thought it would be easiest to use Valentine's Day stickers on a blank card. Next, uncap the Dimensional Magic and add small or large 3-D elements to your card. For this Be Mine card, I filled in the entire shape with the glue. Once the clear glue dries over your card, it will look 3-Dimensional. For this whale sticker card, I only filled in the heart shape and eyeball, adding some fun silliness to the card. The best part of this glue is that you can also use it for your collage projects. Use Valentine's Day themed scrapbook paper and letter stickers to collage on a block of wood, then highlight some of the hearts with the Dimensional Magic! This takes 3-D cards to a whole new level and is sure to be a special gift for your sweetheart. You can find more Valentine craft projects on my blog here. Have a wonderful Valentine's Day week!